Cruise agency specializing in discount cruises and all-inclusive cruise vacation packages. Our cruise consultants are certified with the cruise lines. 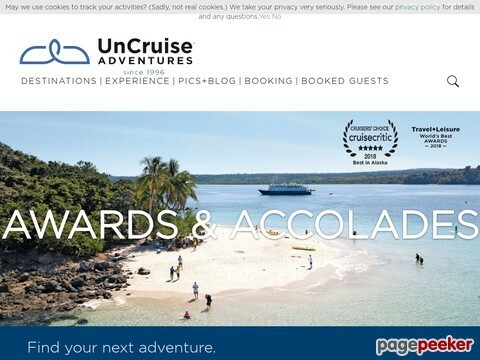 Celebrity Cruises - a premium cruise experience. Discover Celebrity's many itineraries and destinations. 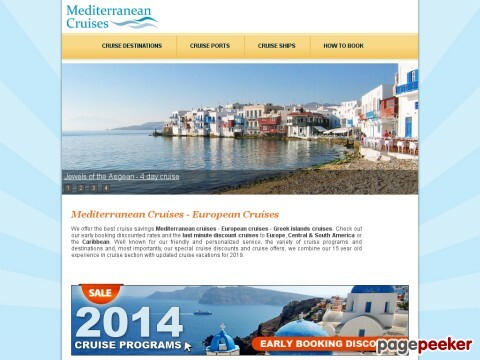 Site features special offers, shore excursions, and more. No matter what travel destinations you are considering, a cruise vacation is the best way to travel in comfort and style. Costa Cruises? vacation packages will take you to the most fascinating travel destinations in the world: Western and Eastern Mediterranean, Norwegian Fjords, Baltic, Western and Eastern Caribbean, Red and Arabic Sea, Atlantic, Pacific and Indian Ocean. Following several years of unprecedented growth, MSC Cruises boasts the most modern cruise fleet in the world, with 11 ships currently in operation. The company currently carries 1.2 million passengers per year. MSC Cruises is a leader in the Mediterranean cruise market, sailing in the region throughout the year, as well as offering a wide range of seasonal itineraries in Northern Europe, the Atlantic Ocean, the Caribbean, North America and Canada, South America, the Indian Ocean, South and West Africa. The company is entirely European-owned. Formed in 2002 by luxury cruise industry veterans Joe Watters and Frank Del Rio, Oceania Cruises is the world?s largest upper premium cruise line. The finest cuisine at sea, award-winning itineraries and outstanding value define Oceania Cruises? five-star product and have positioned the company as the cruise line of choice for travelers seeking a truly refined and casually elegant travel experience. Orion is a purpose built vessel designed to access the inaccessible, all in 5-star luxury. The ship combines the best and the latest in design with maritime and environmental technology, comfort and casual elegance.